The University of New Brunswick show where Anne Murray got her start as a musician is celebrating 70 years of entertaining the Fredericton community. The UNB Red ‘n Black Revue is the longest-running show in New Brunswick and brings together students, faculty, staff and alumni to celebrate the university’s rich history, diverse cultural mosaic and talented community members. Performances this year include traditional Indigenous singing, aerial acrobatics, cultural dances, and a tribute to the famous kick line, a Red ‘n Black staple. “For the 70th anniversary, we wanted to make sure we built a diverse lineup that represents UNB’s cultural diversity while honouring the traditional and historical pieces that made the Red ‘n Black Revue what it is today,” says Kristian D’Amore, director of campus events for the UNB Student Union. This year’s show will also include an appearance by Virginia Bjerkeund (BA ’51), who performed in and helped organize the first Red ‘n Black Revue 70 years ago. 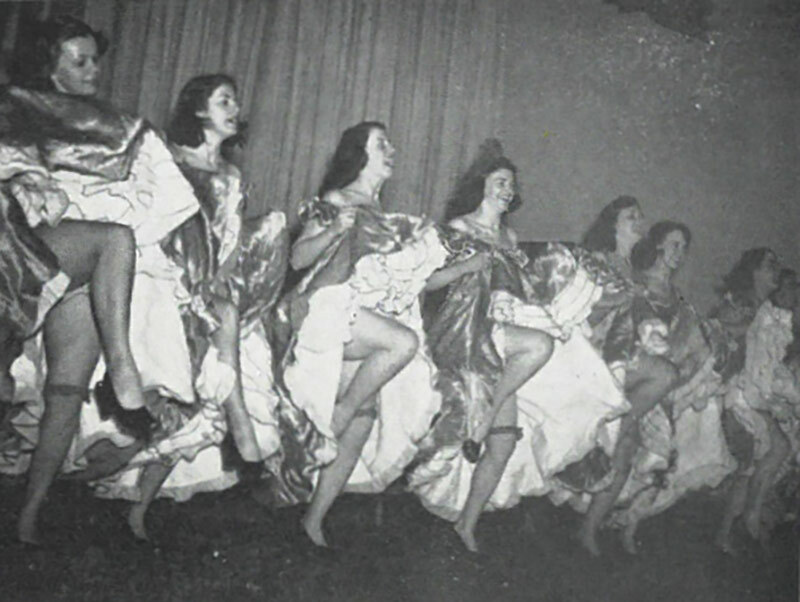 UNB’s Red ‘n Black Revue began in March 1948 as a class project and has grown into one of the university’s most treasured and celebrated annual events. The inaugural revue was so successful it was extended to three nights, all with capacity crowds. At UNB’s millennial alumni reunion in 2000, more than 2,400 fans sold out the Aitken University Centre. This year’s show will be a dinner theatre for the first time in the history of the show. “The 70th anniversary show is about honouring the first 70 years, but also celebrating our future,” says Mr. D’Amore. All are welcome to join UNB in celebrating the Red 'n Black Revue at 6:30 p.m. on Friday, March 22, at the Student Union Building, UNB Fredericton. Photo credit: UNB Alumni. Additional photos available upon request.